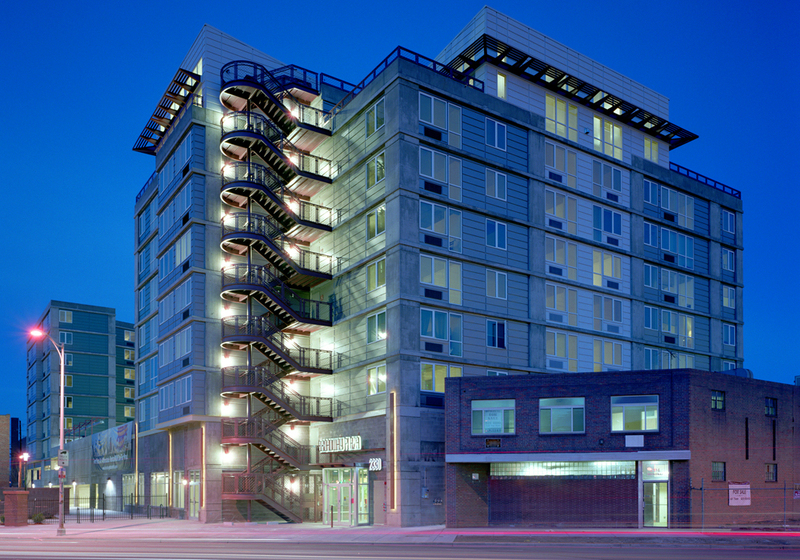 Located in Downtown Denver, this nine-story affordable housing building contains 233 apartments units, four levels of parking and one level of retail space. The apartments boast a loft-like feel with exposed concrete ceilings. A highlight of the project lies on the ninth level, where breathtaking city and mountain views pervade the common space and exercise room. We completed construction for this beautiful project on-time and above expectation in just 18 months.